Manchester City and Tottenham Hotspurs could only manage a draw at the Etihad, while Liverpool were handed their first home loss of the season against Swansea City. Manchester United, on the other hand, needed an injury time equalizer from Wayne Rooney to come away from Stoke with a point. The midweek set of fixtures is headlined by Chelsea's visit to Anfield. Arsenal and Manchester United host Watford and Hull City respectively while Spurs and City travel to Sunderland and West Ham United respectively. 1. 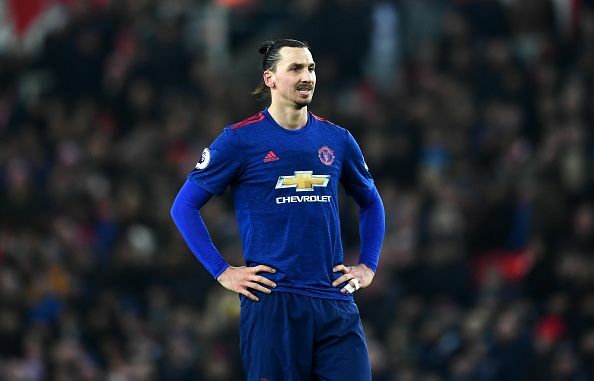 Zlatan Ibrahimovic (11.7): The big Swede is simply undroppable right now and with United's next fixtures being Hull (H), Leicester (A), Watford (H), and Bournemouth (H) it could turn out to be a disastrous decision to remove Ibrahimovic from the team. United have drawn their last two league games so one can expect a big reaction at home against Hull. 2. 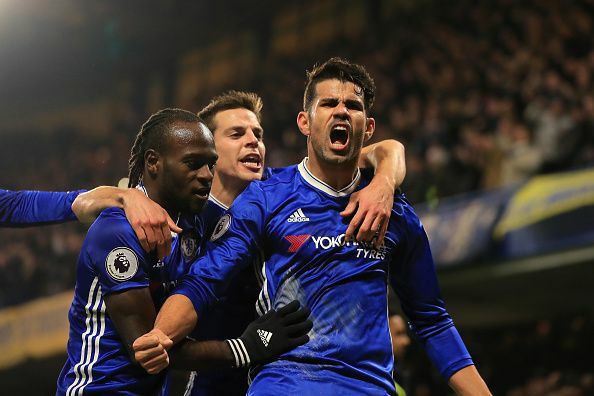 Diego Costa (10.4): After being dropped for the home game against Leicester, Costa marked his return to the starting eleven with a well-taken goal against Hull to give Chelsea the lead. He scored against Liverpool in the reverse fixture and Liverpool's current form would suggest Nicklas Bendtner might have a field day against them. 3. Andy Carroll (6.3): Valued at 6.3, Carroll has been the main reason for West Ham winning two games on the spin in the league. The big centre-forward has scored 3 goals in the last two games to push West Ham 12 points clear of the relegation places. He is selected by only 3.9% of the players and could be turn out to be a great West ham buy in the absence of Dmitri Payet. 4. Dele Alli(8.8) : The 20-year-old scored the first equalizer for the Spurs in the match at the Etihad. Alli has now scored eight goals in his last six league appearances and was instrumental in Spurs' comeback win against Wycombe Wanderers in the Cup. Sunderland's defence has let them down time and again this season and there is no reason that Alli cannot exploit the Wearside team this week. 5. Alexis Sanchez(11.9) : The Arsenal star has been one of the most consistent players in the league this season and leads the top-scorers chart with 15 goals. The Chilean scored a 98th-minute penalty in the Burnley game to stay close to Chelsea. Watford at home should be an easy win for the Gunners and a refreshed Sanchez, who was played for under half an hour in the Cup, will be itching to keep his form going. 6. Matt Phillips (5.9) : The West Brom winger has a goal and three assists in the last four games of the league but he has seen a drop in form in the last two games. The Scotsman is just one assist behind Kevin De Bruyne and is a value buy for any manager. West Brom face a struggling Middlesbrough next and the former's form suggests that they will run out easy winners at the Riverside. 7. Gylfi Sigurdsson (7.2) : Under the leadership of Paul Clement, Swansea City appear to be back to on the road to recovery having won two of the last four games. The Iceland international scored the winner against Liverpool in the last game and his role in the team suggests that he would be the man most likely to create something for his team-mates. 8. Phil Jones (5.0): The Manchester United defender's partnership with Marcos Rojo has been the main reason for United's recovery from the slump they found themselves in before the festive season. United have an easy run of fixtures till April and the Englishman might just be an easy source of points for all managers. 9. Maya Yoshida (4.2): Jose Fonte's transfer to West Ham United has opened the door for Yoshida to make the centre-back spot his own. The Japanese international was rock solid against Leicester and Liverpool in the EFL Cup - both matches ended with clean sheets for the Saints. At a price of 4.2, Yoshida is an absolute steal. 10. Marcos Alonso (6.6): Alonso has already provided 110 points this season and Chelsea's style of play suggest that number is likely to rise quickly. The Spaniard has three goals and three assists to go with 12 clean sheets this season and while his price tag might put you off but the returns are certainly worth the risk. 11. 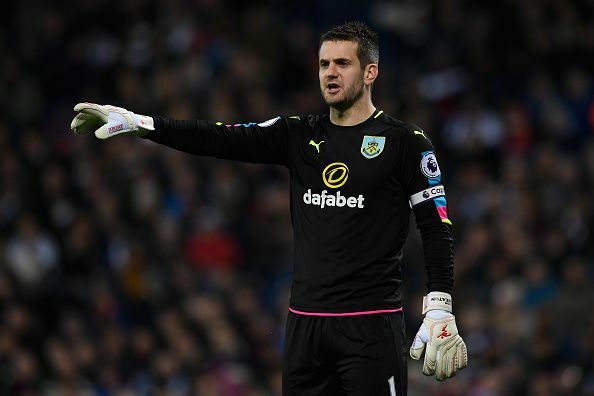 Tom Heaton (5.0) : Past the midway point in the league, no one would have expected the Burnley shot-stopper to lead the goalkeeper list. But Burnley's exceptional home record and style of play have ensured that most teams have a tough time at Turf Moor. They have kept 3 clean sheets in the last three games there and their opponents Leicester City have failed to score a goal in their last three Premier League outings. Jay Rodriguez (6.3) : After suffering a career threatening injury in 2014, Rodriguez has made his return to the Saints first team this season. He has already scored 4 goals and is selected by just 0.6% of the managers. The main reason to select the Southampton player is because he is classified as a midfielder in the game while he is deployed as a striker by his team. Junior Stanislas (5.3) : The Englishman has been directly involved in a third of the total goals scored by Bournemouth this season despite missing eight of the 22 matches this season. Everything that Bournemouth do right goes through Stanislas. He has been selected by 4.2% managers and at a price of just 5.3, he is a great player to have in the side. Ben Mee (4.6) : The efforts of Ben Mee, Tom Heaton, and Michael Keane have not gone unrewarded as Burnley find themselves third on the home table having conceded just 11 goals in 12 matches. While I have already suggested, Heaton in the lineup, Mee could be a source of some more points due to Leicester's poor run of form. One goal and a couple of assists is what Mee has provided aprat from his cleansheets - a very good return for a central defender.